I do hope yo hare all having a terrific weekend? Here at Boys & Bunting we love nothing more than sharing our recent makes with you! Finishing up a crafting project and standing back to observe your creation. Having that great sense of accomplishment is very rewarding isn't it? That's why we've created this page....a chance for you to share your recent Boys & Bunting makes with us (as well as the rest of the crafting world). 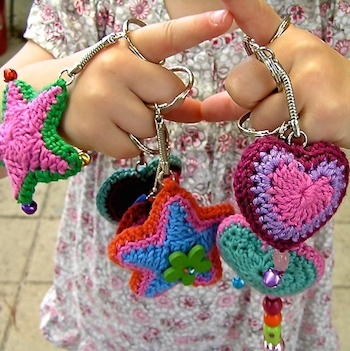 Hasn't Amanda done a fantastic job with these amazingly cute star key chains!? She's really used our Simple Star Pattern to the max! Amanda made two stars, using Gelato from Moda Vera (50% cotton, 50% acylic) in some rather gorgeous shades. She then cleverly joined them together, making sure to pop a little toy stuffing in the middle. Finally Amanda added a nice shiny keychain to produce these rather brilliant star ornaments! The perfect accessory to hang your keys from! We think we'll be making a few of these ourselves, They'd be perfect to give as gifts!!! 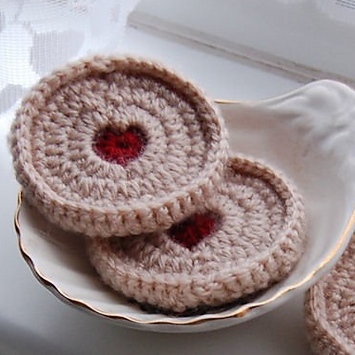 Ambrit has done an absolutely awesome job with these Jammy Dodgers, how incredibly neat are they! Ambrit is originally from the USA, but has certainly embraced these English treats. Using two different sized crochet hooks for her dodgers, she has varied up the the size a little and its worked a charm! Ambrit is really quit the crafter and has many lovely projects to admire over on her Ravelry page, if you want to be inspired go have a peak! How cute is Kelly's "Crochet O'clock"! A combination of crochet, decoration and functionality. That's what we call ULTIMATE CRAFTING!!! 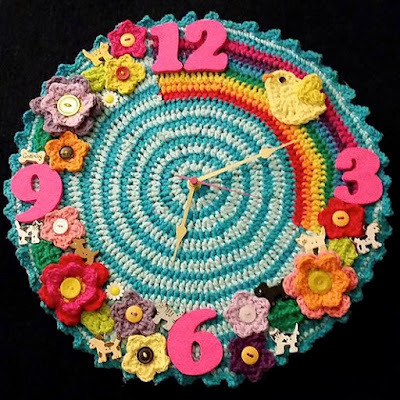 The clock has been made using various different shades of yarn, all from "Lily Sugar'n Cream Scents" range. It looks like lovely yarn!! Kelly decided to make a bird to place on her rainbow instead of the butterfly we used in our design and it really works well. 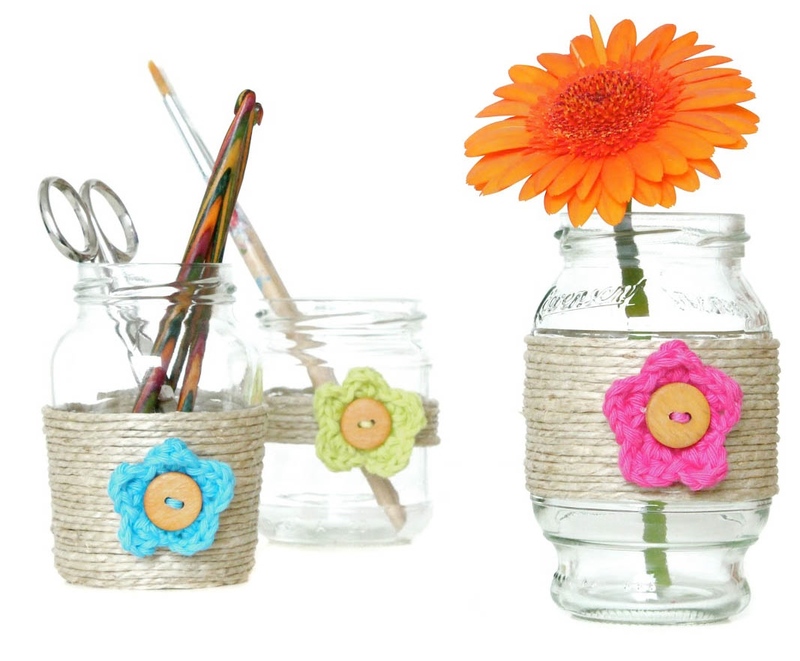 Adding some dog and cat buttons, along with a couple of fun daisy buttons really adds to the crafty charm of this make. We love how bright and bold Kelly's clock is, it'll certainly brighten up any time of the day! Isn’t it nice to have a look at what other people have been making? Different combinations of colour really add to the individuality off a project. Well done to all three makers, you all did a sterling job! !